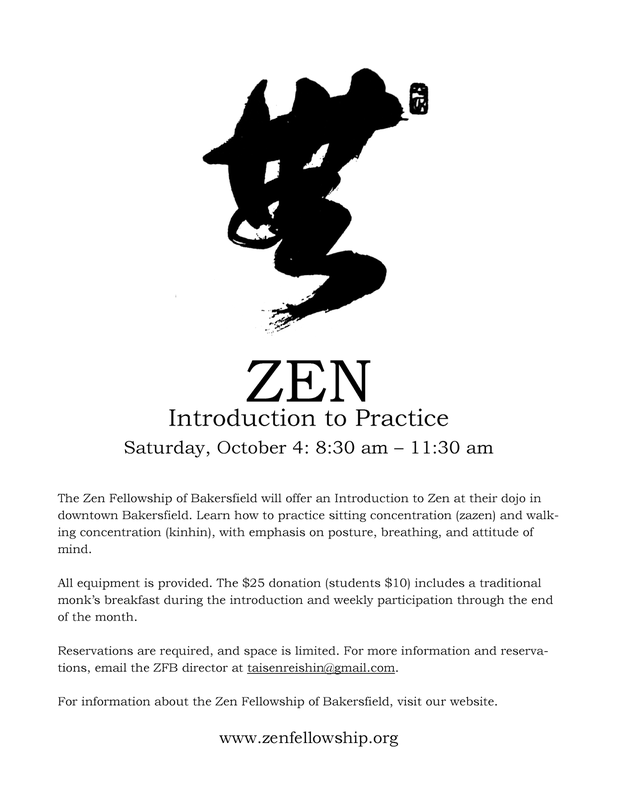 The Zen Fellowship of Bakersfield will offer an Introduction to Zen. Learn how to practice sitting concentration (zazen) and walking concentration (kinhin), with emphasis on posture, breathing, and attitude of mind. All equipment is provided. Dress in loose, comfortable clothing. A $25 donation (students $10) includes traditional monk’s breakfast during introduction and weekly participation through the end of the month. Reservations are required, and space is limited. For more information and reservations, email the director from the "Contact" page. For directions to the dojo, see the "Visit" page.